Create your own settlers! This mod allows you to craft synths who look like any chosen NPC, but behave like workshop actors. Version 1.12 fixes compatibility issues with F4SE. 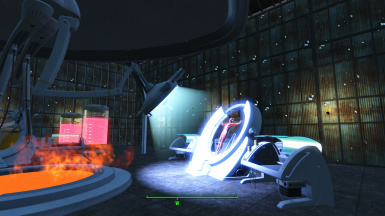 "...and on the sixth day, the Sole Survivor created Synth in Her image..."
Tired of relying on radio beacons - the Craigslist roommate ads of the wasteland? Want to rapidly populate a settlement? Wish that cute Raider were a little friendlier? Have you ever dreamed of a world where everyone is Piper? 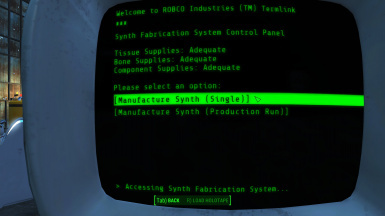 If you answered yes to any of the above questions, manufacturing your own synth settlers could be the answer! Sculpted to look like the individual of your choice, but obedient enough to work whatever dirt farm you stick them in, homemade synths are there to fulfill your every settlement need. As long as that need can be fulfilled in a thick Boston accent! 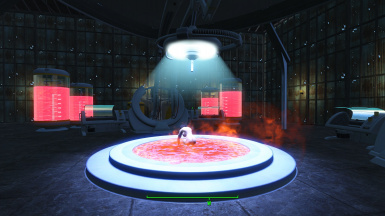 This miracle of science is capable of assembling a synth every thirty seconds, and can be set to single or automatic production at any terminal. 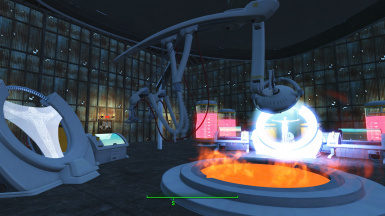 Production requires 6 batches of synth tissue, 12 bone, and one modified synth component per settler created. 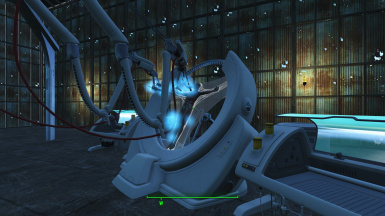 And yes, it's fully animated and every bit as awesome as the Institute's version. 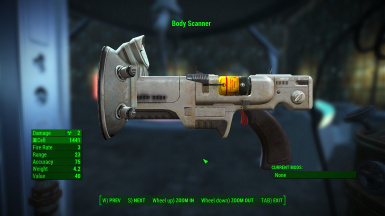 Constructed at a chemistry station, this "gun" can be used on any NPC, living or dead, to store their image as a synth template. Up to eight female and eight male templates can be stored at a time. Special thanks to Oxhorn for producing this video showcase. Q: Is this compatible with <popular workshop mod>? A: Almost certainly! It doesn't touch any of the workshop scripts, just adds new NPCs which use them. 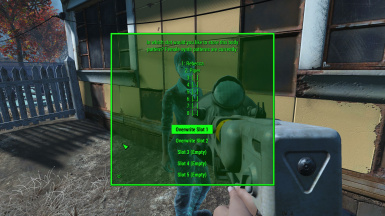 This also means that your synths will be able to benefit from <popular workshop mod>'s changes to settler behavior. Q: Where are the recipes? A: After picking up the schematic holotape, you can find the synth fabricator under Power->Miscellaneous. 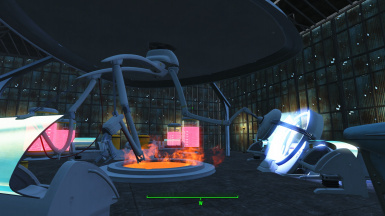 Recipes for producing the body scanner, synth tissue cultures, and new synth components can be found at any chemistry station under Utility. 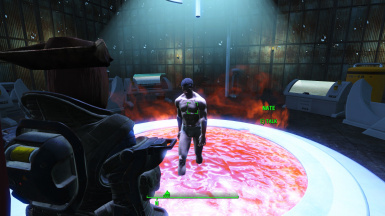 Each batch of synth tissue requires 1 antiseptic, 1 fertilizer, 1 glass, and 1 purified water to create. New synth components require 2 circuitry and 1 plastic. Q: And where do I put the components? A: The synth fabricator draws from its parent workshop's inventory, so just drop everything there. I've made the tissue cultures and new synth components count as junk items to expedite this. Q: How expensive is the synth fabricator to produce? A: Constructing such a massive machine is quite resource-intensive, requiring the following: 30 steel, 25 aluminum, 12 each of copper, silver, and gold, 20 circuitry, 8 fiber optics, 12 glass, 8 rubber, 24 plastic, 8 gears, 12 springs, 24 screws, 20 adhesive, and one fusion core (as a backup power supply). Q: Can I scan myself/my dead spouse? A: You don't need to! Both templates are pre-loaded by default. 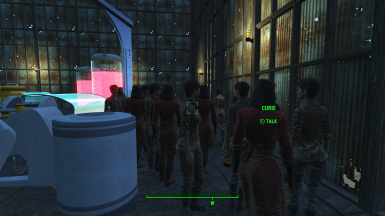 Q: These synths won't attack my settlers, will they? A: Nope! 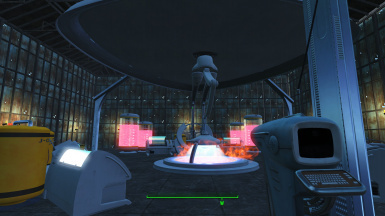 Unlike synths who respond to the radio beacon, synths created with this mod are loyal to the player. Q: Can I customize synths' faces? A: Not yet. This was part of the original idea, but Fallout 4's engine doesn't handle editing NPCs well and produced frequent CTDs during testing. If a workaround is discovered I'd love to make this possible. Q: I love this mod! Will you have my babies? A: It... doesn't work like that. Try building synths instead. 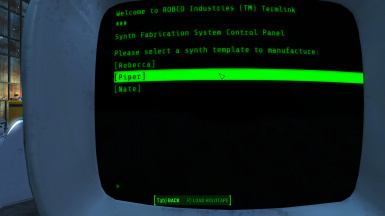 Synths created with this mod are templated to look like the desired actor, but behave like workshop NPCs. This imposes a few restrictions, most notably that they all use settler voice types (since most NPC voices don't have audio for workshop lines). On the plus side, they can be used for anything you'd use a settler for - work objects, supply lines, vendors, and so on. The workshop system doesn't play nice with animations. I was able to make the synth fabricator placeable, but it cannot be moved once placed (you'll have to scrap it). This mod is as lore-friendly as I could make it, given the premise. Seems plausible that the Institute would be trying to develop a streamlined synth factory for use in secondary production centers.